In this lesson, you're going to learn some nouns of HSK 3 vocabulary. Each word is provided with a picture and a simple example sentence, so that you can understand and memorize easily. At the end of this video, there is a language tip about how Chinese people address others. Who is this beautiful aunt? Uncle Wang is tall and handsome. My grandmother is in good health. My grandfather is eighty years old. Manager Zhou asked for leave today. My father is a taxi driver. Our school headmaster is very kind to the students. There are many guests in this restaurant. My husband and I were neighbors before. I'm going hiking with my colleagues this weekend. We can't take other people's things casually. The elephant's nose is very long. You stepped on my foot. What do you draw on your face? I like girls with long hair. What's wrong with your leg? The rabbit's mouth is so cute. Which one of you two is taller? Is my shirt washed clean? I'm going to work tomorrow with my new pants on. I want to buy a skirt. Where did you buy your leather shoes? Teacher Wang asks you to go to his office. The goods in this supermarket are cheap. There are many people in the park today. I like reading books in the library. My mother works in a bank. Could you please tell me where is the bathroom? Let's take the elevator up. The streets of this city are wide. There are many people boating in the park in summer. I take the subway to school every day. Let's go cycling this weekend. Beijing is in the north of China. Walk 200 meters to the east and there is a supermarket. Summer in the south is too hot. The cup in the middle is mine. 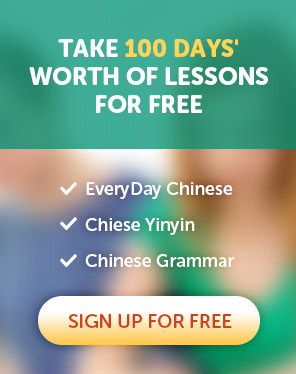 © 2018 唐人街汉语/ Learn Chinese in Chinatown. All Rights Reserved.